Poor baby Sully/Christian! The little guy is caught in the crossfire of several selfish and foolhardy adults. At least Dylan avoided having a physical fight with Nick over the little boy. Someday that poor child is going to be confused. Just wait until the other seccret comes out! How will Nick react when he eventually learns that Adam is Christian/Sully's biological father? Will Chelsea choose to marry Nick so that she can be a mother to her beloved Adam's child and Connor can have a little brother? Poor Faith. He family situation is so confusing. She's more mature than most of the adults in her life. Her father, Nick, needs anger management classes. He smashed glasses at The Underground restautant. He burst into Sharon's place like a caveman and demanded his child immediately. He had no thought about upsetting Sully/Christian and disrupting the baby's routine. He wss really cruel to Sharon when she brought some of Christian/Sully's toys over to his place. He wanted no part of a birthday party for the child that Dylan had planned. Yes, Sharon deceived him. However, he should be absolutely overjoyed to have his son back (the child he thinks is his son). He should also look at his past behaviour before judging Sharon so harshly. It'a a case of the pot calling the kettle black. Chelea wasn't too impressed with Nick's treatment of Sharon. Don't forget that she also witnessed his glass-throwing tantrum. She may think twice before telling him the truth about Christian/Sully's paternity. By the way, according to an online spoiler, Sharon and Chelsea are goong to clash over Nick. Not surprisingly, Victor Newman has contributed to the ruination of another of his daughter Victoria's romances. Travis and Victoria's relationship began to deteriorate the moment Travis decided to accept a comfortable position at Newman Enterprises. Another irritant is Billy Abbott's continued presence in Victoria's life. Travis can't accept their connection, despite the fact that they have children together. That's why he cheated on Victoria with is ex-love, Michelle, who is in town for a visit. Although he regrets his infidelity, he's not going to tell Princess Victoria about it. When she finds out, Travis will wind up in the doghouse. If Victoria and her boyfriend break up, the path will clear for Billy to make his move on Miss Brass & Sassy, Jill will certainly be thrilled, but "The Moustache" will not be amused at all. As usual, Daddy Dearest will do everything in his power to come between them. Still, V and B seem headed for a reconciliation at some point. Complicatinos will arise, however, when it is revealed that Billy is the father of Chloe's daughter, Bella.. Victor will probably find out about it and use the information to prevent his daughter and Billy Boy from reuniting. I doubt that Michelle will give up on Travis so easily. Sh is divorcing her husband and wants him back. She's smart enough to realize that his heart is with Victoria, so she won't push him. If Victoria breaks up with him, though, Michelle will undoubtedly pursue him again. This time her competitin won't come from Victoria but from another Newman - Abby. Abby will soon be Stitchless, so she may set her sights on Travis. As for Dr. Stitch'em-up, he'll probably hook up with Ashley Abbott again. If that should happen, It will be interesting to see how her daughter Abby reacts. Phyllis and Jack started up again, just after they signed divorce papers. They kissed and Jack won't be able to get that kiss out of his mind. Phyllis will be more determined than ever to win him back. What's with Noah? He doesn't seem to have anyy direction in his life. He just seems to be drifting, occasionally helping out at his father Nick's restaurant, The Underground. Noah made an interesting point, though. He said he'd rather be pouring drinks than working for Grandpa Victor at Newman Enterprises. Here are some things I'd like to do if I could visit Genoa City. I'd like to take a stroll in Chancellor Park and enjoy some refreshments at Crimson Lights. I'd like to visit GC Buzz and I'd like to try Ashley's new app, "Jabot Go." My list is much longer but I will same some items for another time. Tale note, fans. The first episode from new head writer Sally Sussman will be shown on Wednesday, December 7, 2016 (Tuesday, December 6 on Global TV in Canada). The direction the show will be taking is evident as you can tell by the cast news below. Sussman wants to return the focus to the core families and the core storylines. As far as I'm concerned, that's great news. Judith Chapman will be reprising her role as Gloria Bardwell for a Christmas storyline. Her first airing will be Wednesday, December 21 on CBS (Tuesday, December 20 on Global TV). She's a fun character, very sassy and scheming. It's about time she visited her sons, Michael Baldwin and Kevin Fisher. They haven't mentioned their mother in ages. According to Soap Central, new headwriter Sally Sussman is rumoured to be a big fan of the Gloria character. Could this mean we'll be seeing a lot more of the golddigging matriarch? That's entirely possible. For now, though. Judith Chapman,ouldn't be more delighted to be back on Y&R. 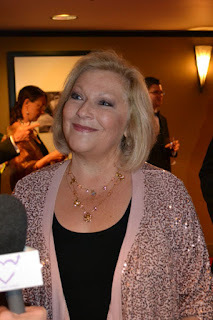 "This is all such a nice surprise," Chapman told Soap Central.com "I had truly made peace with the idea that I would never be called back to the show." Fan favourite Beth Maitland is returning to The Young and Restless as sweet Traci Abbott. Beth told TV Insider that Traci will return to Genoa City on Novermber 17th on CBS (November 16th on Global TV). It is possible, with Sally Sussman as the new head wrter that Beth's stay could be more permanent. If Traci were to move back to Genoa City, the Abbott family would be reunited. Traci is warm-hearted and helpful (What a diffeernce between her and some of the other charcters on the show). She also provides a link to the show's past and all the Abbott glory years. Former General Hospital star, Kelly Frye, has arrived in Genoa City. She portays Michelle Hazelton, the woman from Travis Crawford's past. It's uncertain how long Kelly will hang around GC, but according to Soap Central.com, rumour has it that she'll be staying for a while. Kelly was born in Houston, Texas on December 6, 1984 and has four brothers. She graduated from Loyola Marymount University in Los Angeles with a BBA in International Business and Business Law. 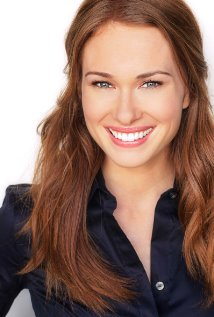 In addition to her role as Ivy on GH, her television credits include appearances on Anger Management (2012), NCIS: Los Angeles (2013), The Flash (2014), NCIS (2015) and Criminal Minds: Beyond Borders (2016). On her Twitter page, Kelly writes that she "loves pizza & being silly." She's also "a bigtime Houston Rockets fan." Right now there is no solid evidence that Michael will be returning to The Young and the Restless. 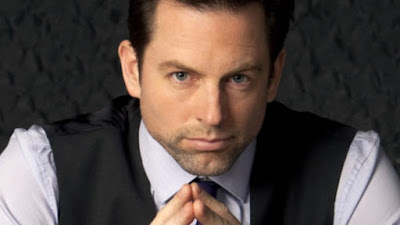 However, the Internet is awash with rumours about Michael's return to the role of Adam Newman. Some fans have become encouraged by some comments he has written on Twitter. The fate of Adam Newman is still up in the air. The character is presumed dead, but that doesn't carry much weight on a soap opera. Still, nothing is certain, Is it a real possibility or is it just wishful thinking on the part of fans? Will Adam return from the dead for the second time? What about the ugly allegations that led to Musney's firing? How will Hunter King react if he is rehired? 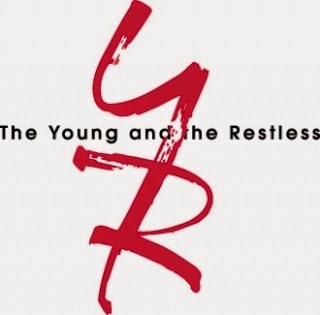 Y&R Report will keep you posted. Sharon Collins Newman Abbott Newman McAvoy is one of the most disliked women in Genoa City. She has a history of lying and keeping secrets. She also suffers from bipolar disorder. Wicked Dr. Andersnon drugged her and deceived her. How much sympathy do you have for her? How much sympathy do you have for Sharon? None. She's a liar and she's selfish. Some. She's no angel but she was a victim of Dr. Anderson and she does have a mental illness. I have a great deal of sympathy for Sharon. She was caught in a difficult situation and Nick and the others are no better. That's all for now. Don't forget that the next edition of Y&R Report will appear in this space on Saturday November 26, 2016. In the meantime, enjoy the November sweeps. Fans, don't forget that if you have any comments on Y&R or on anything I've written, I welcome your feedback and I will publish your comments.